I posted about this issue in the other forum, but couldn't really figure out why this is happening, or how. So I assume this is a bug. More info can be found in the link, hope someone can shed some light on this issue. It sounds like you might have a value other than 0px in the Feather entrybox for the Marquee Tools could you double check this please? Otherwise it sounds as though the selection you are copying has been made with non whole pixels (for example you have a selection of 670.4px by 850.7px) in this case it will round up the new image to accomodate this which will cause the partial transparency you are seeing. With that said the only way I could do that was by slightly resizing my selection after making it - the marquee selection tool should be snapping to whole pixels, especially with Force Pixel Alignment enabled which you have. And the transparent border is back again, also the width/height don't match the selection. Maybe I'm doing something wrong, please let me know if I missed anything and I'll check again, thanks! looks like there is something going wrong . after resizing the document is 200x200px at 96 dpi, but the background is 144 dpi. after saving and reopening the file the background is 96 dpi. 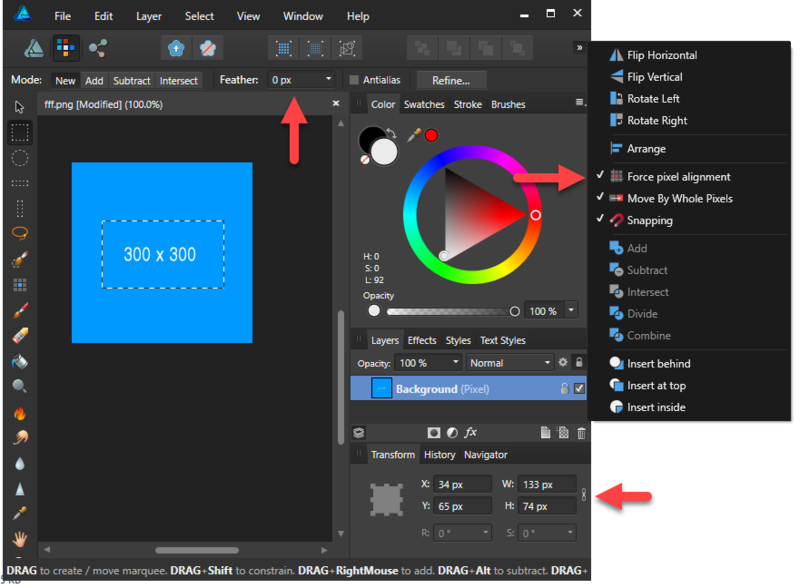 when i make a selection 100x100 px on the reopend file and move it a little, i can copy and paste new from clipboard without the transparent border. Thanks for the steps, I've now been able to reproduce it. 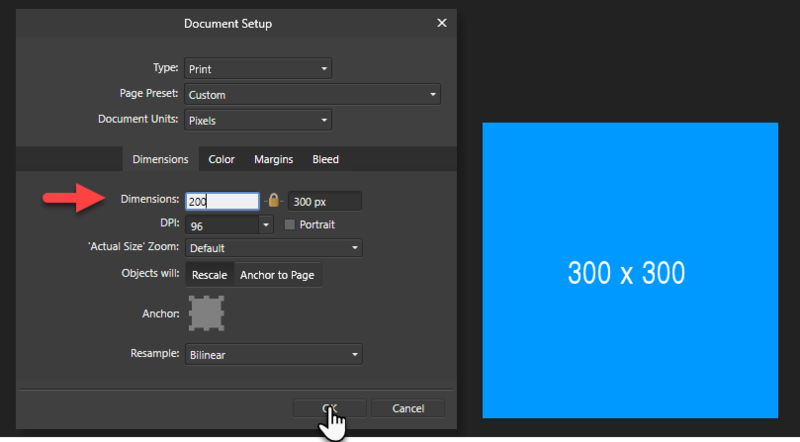 When you resize to 200x200 it should resample the image to 96dpi 200x200, but it is 144dpi which I think is where the issue is coming from. I'll get it passed onto development. 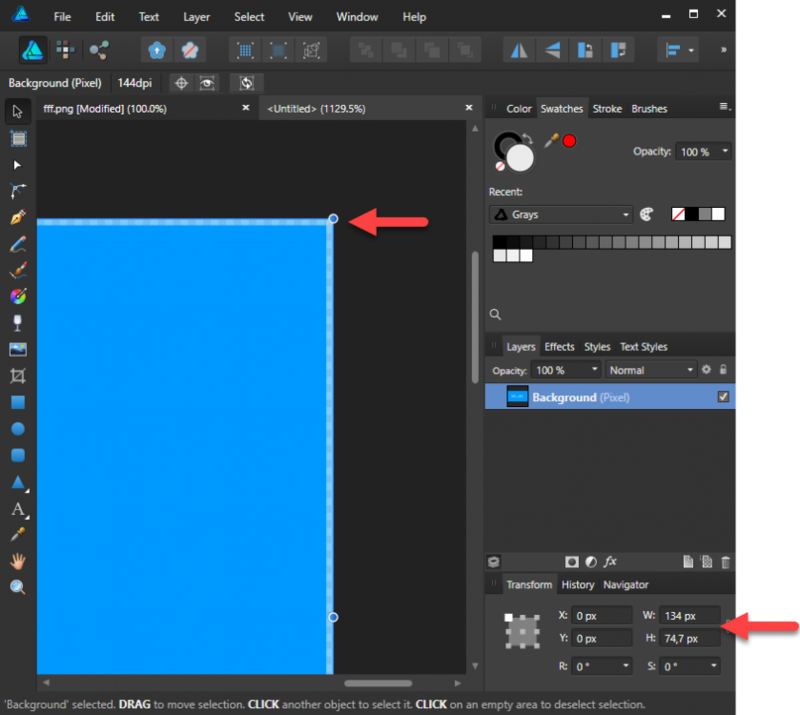 EDIT - As a work around if you rasterise the Background layer before making the selection after resizing, you should be able to paste correctly. No worries, thanks for the workaround, hope things get resolved!